NEGROMANCER 2.0: VIZ Media Welcomes "The Water Dragon's Bride"
San Francisco, CA – VIZ Media, LLC (VIZ Media), a premier company in the fields of publishing, animation distribution, and global entertainment licensing, announces a fresh new fantasy adventure shojo manga series with the debut of THE WATER DRAGON’S BRIDE on April 4th, 2017. The new series, by Rei Toma, the creator of the critically acclaimed manga series, Dawn of the Arcana (also published by VIZ Media), is rated ‘T’ for Teens and will be published under the Shojo Beat imprint. Volume 1 will carry a print MSRP of $9.99 U.S. / $12.99 CAN. THE WATER DRAGON’S BRIDE also launches digitally via VIZ.com and the VIZ Manga App, as well as from the Nook, Kobo, Kindle, iBooks, comiXology, and GooglePlay stores. Future volumes of the ongoing series will be published on a quarterly basis. 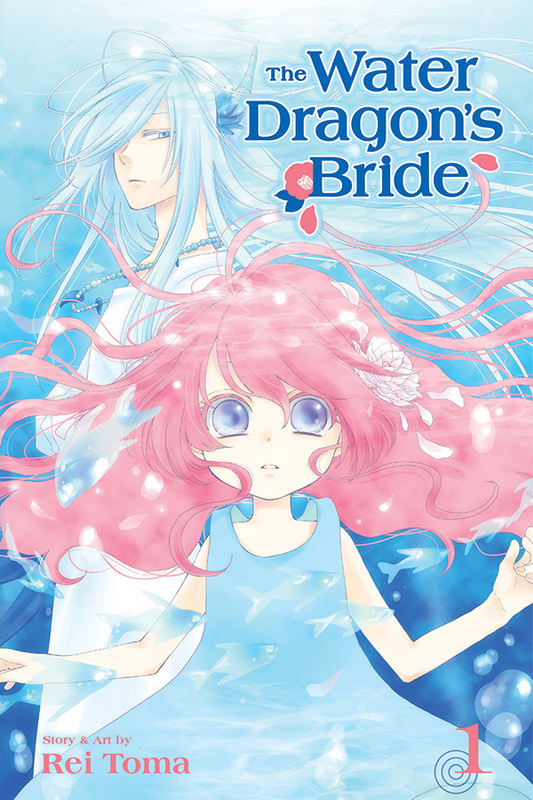 In THE WATER DRAGON’S BRIDE, in the blink of an eye, a modern-day girl named Asahi is whisked away from her warm and happy home and stranded in a strange and mysterious world where she meets a water dragon god! Manga creator Rei Toma has been drawing since childhood and created her first complete manga work for a graduation project in design school. Her subsequent short story manga, “Help Me, Dentist,” went on to attract a publisher’s attention and marked her professional debut. After finding success as a manga artist, acclaim in other art fields followed as she went on to illustrate several novels and video game character designs. Rei Toma is also the creator of the manga series, DAWN OF THE ARCANA, which is available in digital and print editions in North America from VIZ Media. For more information on THE WATER DRAGON’S BRIDE or other manga titles available from VIZ Media, please visit VIZ.com.